Guest: David Treuer is Ojibwe from the Leech Lake Reservation in northern Minnesota. He teaches literature and creative writing at the University of Southern California. 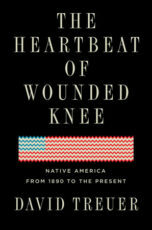 And is author of several novels and non-fiction books including his latest The Heartbeat of Wounded Knee: Native America from 1890 to the Present.